Some of us have quite a few meetings to attend every week. So many in fact that we have difficulty finding time to do all the other tasks we have to do in addition to attending all these meetings. 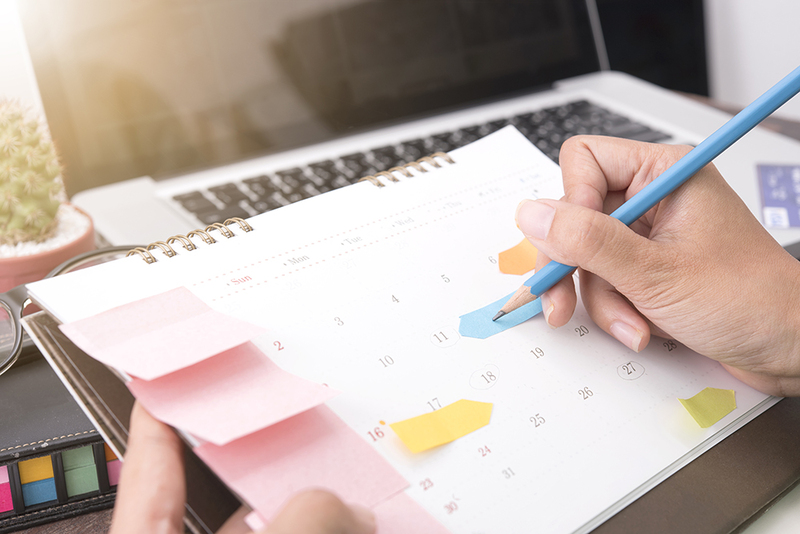 An old trick for making sure you have time for other things than meetings is to schedule time in the calendar that cannot be used for any congregating, so that we make ourselves distinctly unavailable for additional meetings in the hours between the one already scheduled. Then we will have the time we need to do other things – in theory, at least. But just as easily as we schedule the time for doing other things, we can reschedule too, and I meet a lot of people who definitely need to start respecting the time they themselves have set aside for doing things other than running between meetings. It is so easy to throw that valuable hour away with a ”Sure, we could meet then. I had just scheduled some alone time anyway”, and before you know it that important time is gone as you made room for yet another meeting. Lately I have gotten the same tip from a number of people regarding what we can do to make it easier to respect and keep the scheduled free time in spite of all the meetings competing for a slot in our calendar. I have not found any scientific evidence for why this method works, but since several people have told me it does the trick for them, I will share it with you here as well. You’ll have to take it for what it is. I can imagine. As long as we have calendars that colleagues can see as well, we have to ”stand up for” and defend the hours we have scheduled both to ourselves and to our colleagues. And if we actually perceive ”alone time” as a concept too associated with scented candles and lifestyle magazines, the term ”business planning” has a whole different ring to it. It is hence significant how we name the bookings in our calendar. Think of another way of naming your calendar bookings than the one you have previously used. As mentioned, some use ”business planning”, others write ”WPR” (abbreviation for Without Particular Reason), some make sure to include expressions such as ”executive” and ”corporate”, some might simply write ”Helping Joan” (even though they don’t know a Joan), and some might even write ”Undisturbed time”, and by doing so inspire their colleagues to also schedule time when they definitely will not attend meetings but instead get all those other important tasks done. Now schedule a few hours throughout the next few weeks and name the calendar bookings whatever you just thought of. Create a to-do-task with a due-date in a couple weeks which asks you to look back at the weeks that have passed and take a minute to reflect on how well this little tip of naming your calendar bookings differently has worked for you. Adjust the name if you should need to. If changing the way you refer to the time you set aside for other things than meetings makes a difference to you in terms of respecting your own previous wishes, then you have ensured that you have the time you need to do tasks that are not concerned with meeting others in a tremendously simple way. You will now get these probably important things done well before they are due, which gives you the opportunity to deliver higher quality and will make your work days more pleasant too. What do you call these time-alone-bookings in the calendar so both you and others respect them? Write to me when you think of something at david@stiernholm.com. Fine-tuning our structure like this is something that really amuses me, so feel free to get in touch.